IRFA 13 will go down tonight in Uppsala, a move away from its usual Stockholm location. In addition, the promotion has moved to an all amateur card. 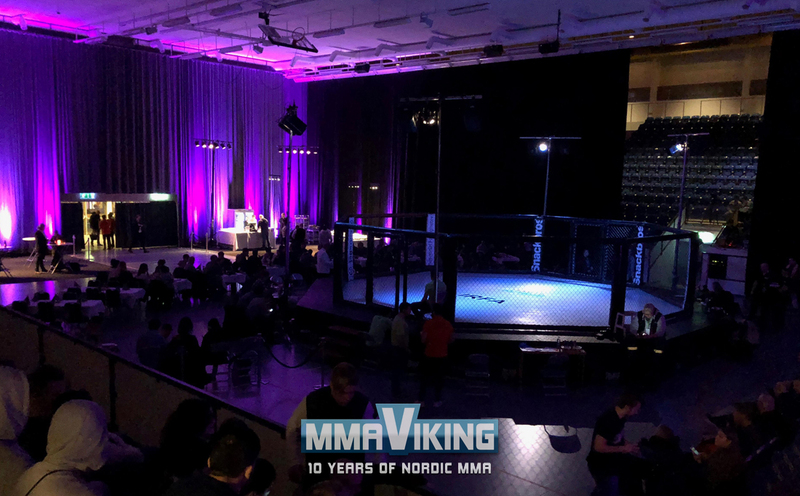 MMA Viking is live at the Fyrishov and will provide live results and pictures below. Round 1 – Ruben is the first announced from Holland. Karar representing Afghanistan. Karar lands punches on Sibma – watch the whole fight on YouTube. Sibma eventually lost by submission, and did not tap. He showed heart. It is an immediate war to start the fight, both fighters throwing down. Karar is able to land a multiple punch barrage, calling for a standing 8 count. 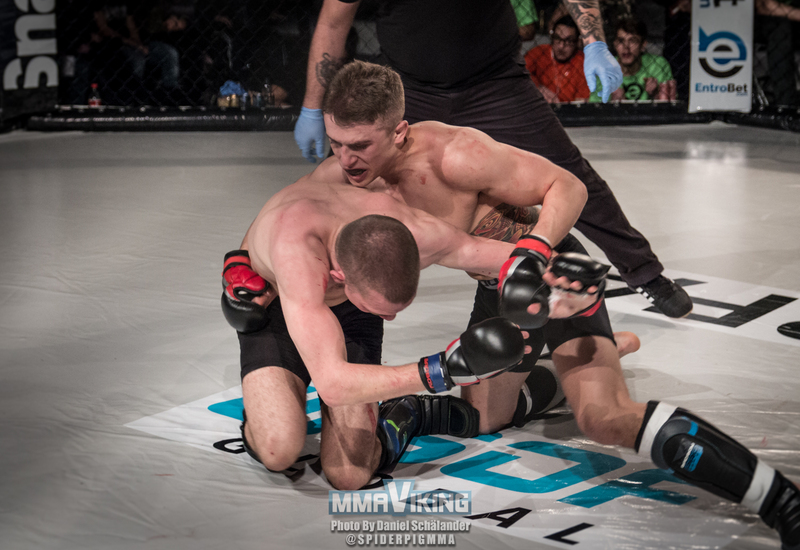 The Perry’s gym fighter is able to get the fight to the ground and secure a head and arm choke submission. “Fairplay to my opponent. He put me to sleep. I wanted a standing fight, but he took me down; smart👍🏻 Never tap out! I will be back stronger❤✨ Thanks for all the respect and support. This is the fight business. Next week training again🙏🏻” Sibma posts on Facebook after the bout. Round 1 – Good counter shots for Zoran, but he hets too aggressive and Markus gets a take-down. 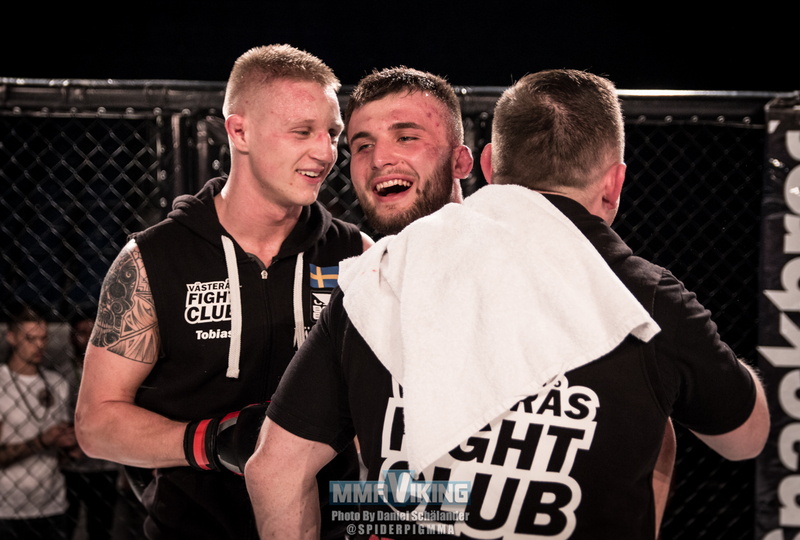 He works to take back as the Swedish fighter’s back, but gets reversed and now Milic is on top landing good ground and pound as Markus looks for submissions. Round 2 – The Norwegian goes for a shot, but gets hit on his way in. Nose bleeding, Haegland is back up but goes for another takedown, and now Markus is on his back. Zoran looking for ground and pound, but now an armbar! It is tight but Zoran will not tap. It is so tight and the referee is looking close, and now it is over. The Västerås is unhappy, but it is called an “verbal tap” as the referee stops the arm from being broken. 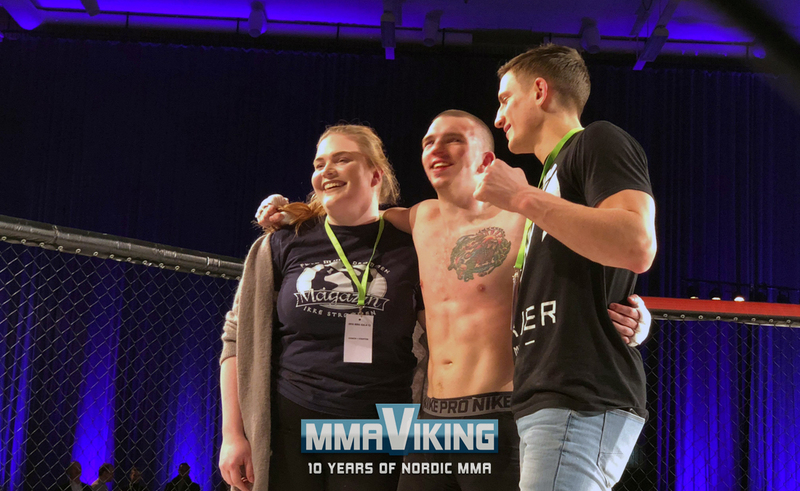 “Legalize MMA in Norway.” says Hægland that complains of the cost to fight pro, including a trip in a van to the fight and collecting plastic bottles to have enough money for the trip to Sweden. Round 1 – Two debuting fighters. Both of these fighters look relaxed in the cage. A couple really nice counter shots from Yalkun, with the last one rocking Kevin. Kevin goes for a body lock and lands a nice knee. Ouch, Yalkun with a knee right in the groin, and the bout is stopped to recover. Round 2 – Kevin looking for a take-down, while Yalkun real confident with his striking from the outside. But, the Västerås gets it to the ground. Round 3 – Osorio looking for a guillotine, but doesn’t quite have the technique yet to finish. Yalkun on top landing some ground and pound, and stays on top nearly to the end of the fight. The scorecard were read as a majority decision, but it was in fact a unanimous decision for Yalkun Tadzjiev. Round 1 – Bilal gets a massive in-air take-down, but threatened with an armbar which was defended by pure beast mode strength. Round 2 – Another high amplitude take-down, and this Bilal is a wrestler… like a real wrestler. Round 3 – Another take-down early, and in control the whole time. Unanimous decision for Bilal Tipsaev. 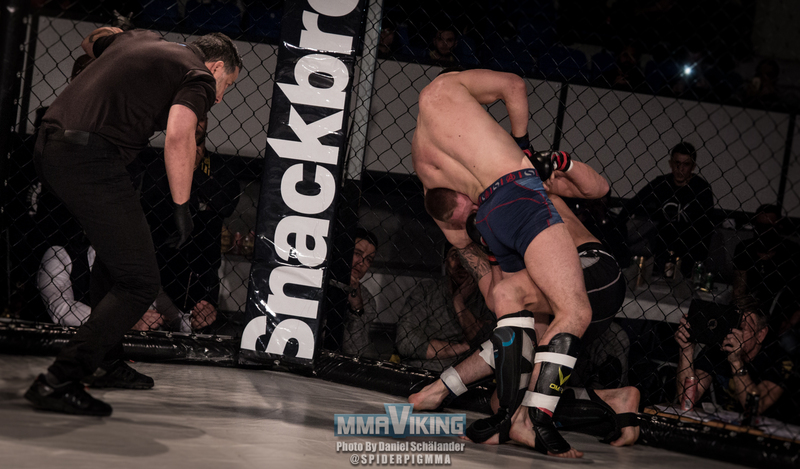 Round 1 – Takedown for Alexander, and he fights for a rear-naked choke as the round comes to an end. Round 2 – Another takedown for Alexander, but Valegren locks in an armbar and fighting for the right angle to straighten it out. Round 3 – Both fighters landing some hard shots, but Alexander shoots in to help secure the last round. 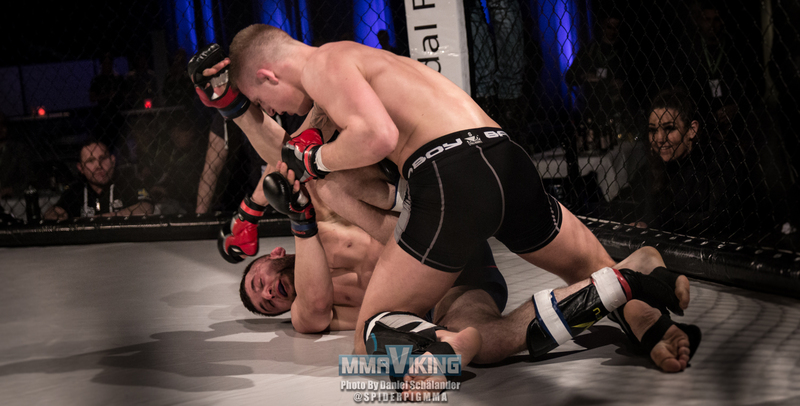 Jacob is pressed against the cage, but finds some room to try and secure an armbar, but cannot do it. 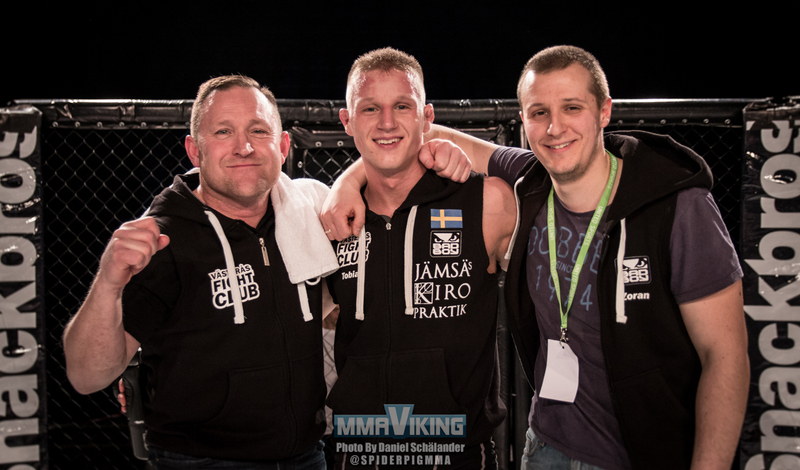 Alexander Lööf winner by split decision. Round 1 – Basir landing some good shots early, but Hamid takes it to the ground. Some control from Hamid as he goes for another take-down. Basir looking for a big shot, but nothing so far. Basir has found a way to damage Hamid through low kicks. He throws, and throws, and throws another! BUT, Sadid with the take-down again. Hamid Sadid wins by unanimous decision. 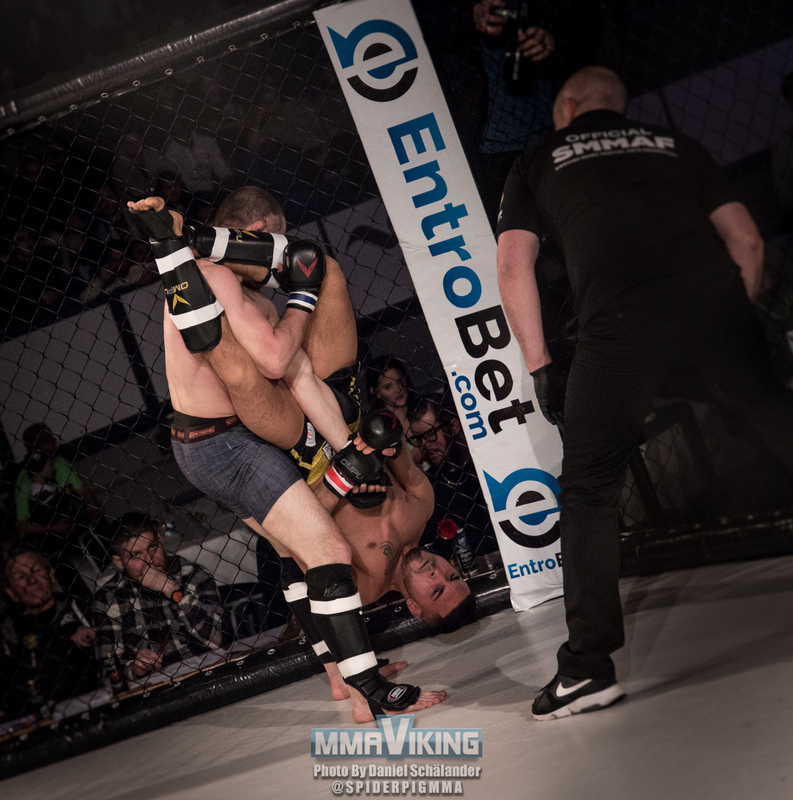 Round 1 – Quick take-down from Elvin, and he locks in a tight guillotine, it looks close as he is standing! Tobias hands in there and survives. In on another take-down against the cage and Hoxha is aggressive in this one, but Tobias is able to get on top at the end of the round and throws in a few punches before and after the final bell of the round. Round 2 – Now it is Tobias with a take-down, and has Elvin gets up he is take down again. 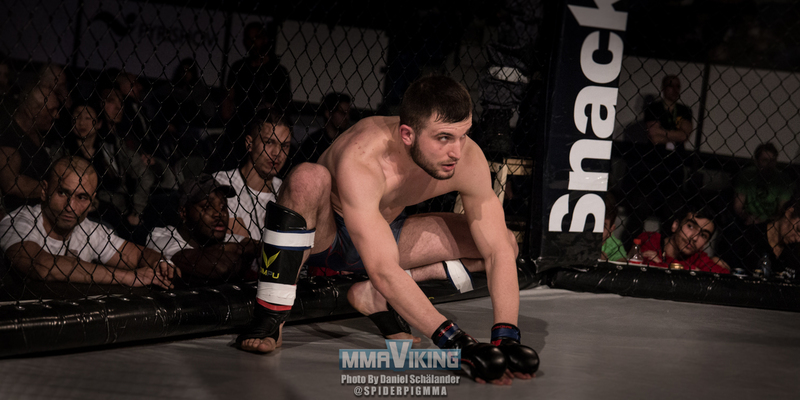 The Västerås fighter is throwing with bad intention as he postures up and lands punches to the face. Hoxha is up and in the final exchange it is Harila landing some good shots. Round 3 – Combination misses, but Tobias in on a double-leg take-down. Good ground and pound throughout and a strong finish slam. 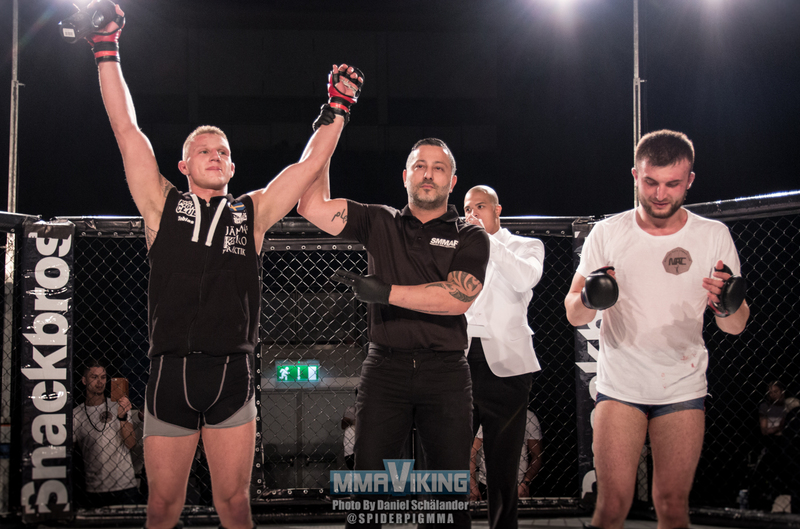 Unanimous decision for Tobias Harila.